Virtual money is, for some years, a reality in the current world in which we live. There are many people around the world who already use cryptocurrencies as an investment or to make their purchases. Despite this, a large part of the world population still does not know them and another part of the population hesitates to invest in them mainly for security. In addition, current payment systems based on blockchain technology and cryptocurrency suffer from a significant volatility of prices, which has limited the desire of many to use them as normal currency. These circumstances make these systems not the most adequate to carry out any type of commercial exchange. Thinking about these and other obstacles, the Kinesis Monetary System was developed: "a monetary system supported by assets, decentralized and universally adopted, an efficient, secure and fair monetary system, and that fosters commercial exchange". This system combines the new decentralized technology with the oldest, fair and sustainable type of money, to promote and serve the interests of all of us from the point of view of equality and capital". To take an evolutionary step that surpasses all the monetary and banking systems currently available. Magnify money as a reserve of value and as an exchange system through participation to benefit everyone. Stimulate in a fair, honest and profitable way the movement of capital, assets, commerce and economic activity. Offer an international monetary system fungible, designed to give and encourage all participants, creating a solution to the need of the world today to have stable and reliable money. Kinesis is formed by the elements and functions that a successful and effective monetary system requires. 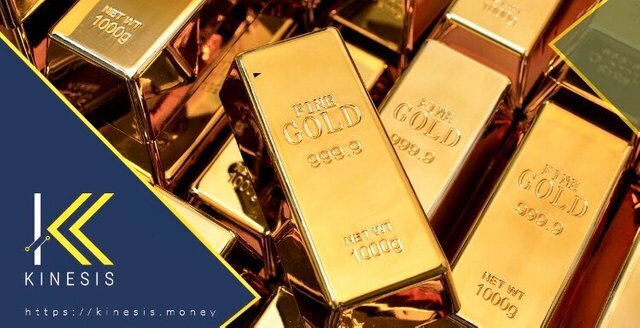 Having a 1:1 backed currency for stable reserves of value such as gold and silver allows commercial and private investments and transactions to be made safely, avoiding possible cases of theft and fraud. Another benefit is the attractiveness of rewards that can be obtained by granting the money that support. So this system promotes trade and in turn shares the wealth generated by the members of its economy. The Kinesis Money team developed a proprietary block chain network that provides extremely high transaction speeds, along with customizable transaction rates based on percentages, creating optimal conditions. 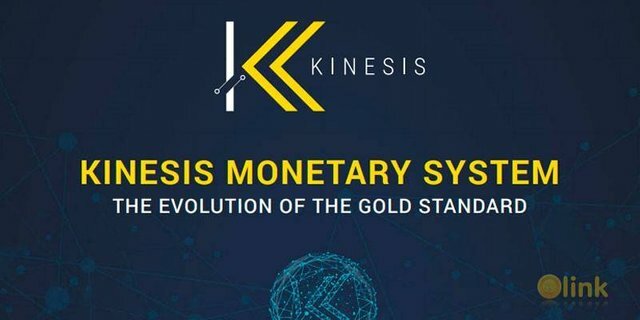 Due to the performance system that Kinesis has developed, it has a stake in four markets (cryptocurrency markets, gold and silver markets, Fiat currency markets, investment asset markets) which is intrinsically less risky than its traditional counterparts. In addition, Kinesis assigns the legal titles of the assets directly to the owners of the accounts in its network, which leads users to incentivize users to open up in the bullion market. Because cryptocurrency has serious problems of price volatility, its usefulness as currency is limited. This implies that they are not used as a reserve of value or as a currency. Kinesis offers a digital currency backed by assets, which combines blockchain technology with two of the most reliable and stable value reserves: gold and silver. This currency is designed to be used and whoever does it will be rewarded, this stimulates the movement of capital and acts as a system that feeds commerce and economic activity. In this way the objective of money circulation speed is achieved. 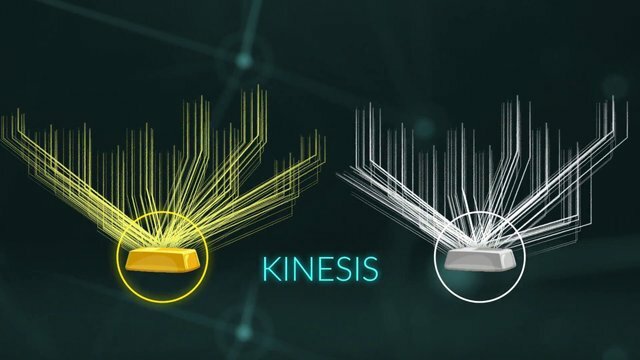 Kinesis and its monetary system have been developed in collaboration with the sister company Allocated Bullion Exchange (ABX), a leading global exchange house for physical precious metals, which has been operating for some years and has centers for trade, valuation and Secure storage worldwide and associated with recognized entities, including one of the largest exchange houses around the world. The knowledge of a recognized and faultless exchange house with good background translates into a successful execution for Kinesis as important brokers and traders from all over the world entrust their systems to this company. ABX offers many attractive proposals to suppliers, such as accessing the market directly and selling metal at the "offer" price. They will attract producers directly to the platform, but they will also attract the rest of the industry to the market. One of the benefits of using Kinesis is to replace archaic and inefficient markets. The OTC alternatives imply that wholesalers operate by phone, email or in person. These systems are manual, completely problematic, inefficient and expensive. The architecture of the OTC market is outdated and Kinesis presents itself as a transition towards the new and more efficient digital system: "It is a perfect solution for bilateral wholesale trading through the blockchain". "Given the stability and security of the Kinesis Monetary System, participating in it is inherently less risky than betting on other markets and offering a potentially higher return." Many investors have the opportunity to invest in bullion with the protection and security provided by the block chain. They can also use or maintain their ingots the way they want according to their plans and strategies.